Thomas Sankara. Courtesy of Face2Face Africa. 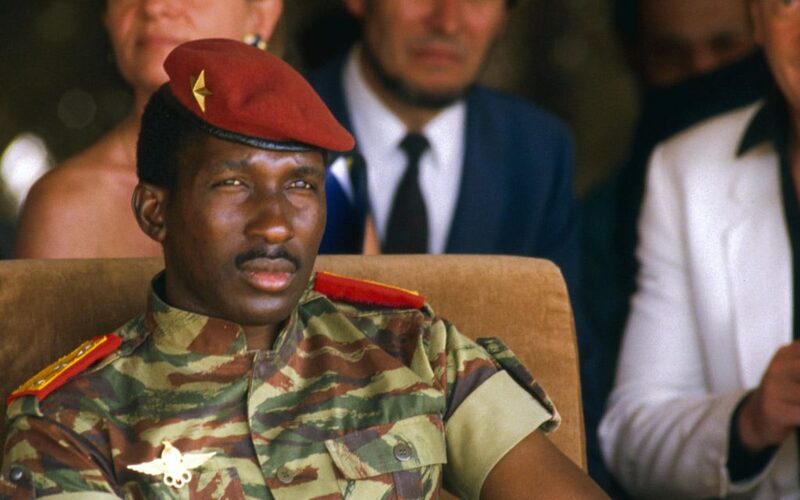 At the international level, the mention of Burkina Faso is quickly associated with either its slain revolutionary leader, Thomas Isodore Noël Sankara (1949-1987), or the Pan-African Film and Television Festival of Ouagadougou (FESPACO). During his four-year rule, from 1983 to 1987, Thomas Sankara changed the name of this former French colony from Upper Volta to Burkina Faso (“Land of Upright People”) and developed progressive policies for women’s conditions, the environment, education, health, and culture. The sense of pride and confidence of Burkinabe people in themselves and their country has been unparalleled throughout the history of this poor, landlocked country. The aura of the Marxist and Pan-Africanist president brought unprecedented global attention to Burkina Faso, particularly during the Cold War. Today, Sankara is a celebrated revolutionary and Pan-Africanist icon like Kwame Nkrumah, Patrice Lumumba, or Amilcar Cabral. FESPACO was instituted by the government of then-Upper Volta in 1969. The most celebrated African filmmakers have competed for the coveted prize, Étalon de Yennenga, every odd year for nearly 50 years. FESPACO has contributed to further raising the country’s profile as a land that staunchly promotes culture, especially audiovisual productions – The country also hosts the biannual International Arts and Handicraft Fair (SIAO in French), the National Culture Week (SNC in French), and Tour du Faso, the longest-running cycling tour in sub-Saharan Africa. Still from Jean Rouch’s Pre-Independence Ethnographic film Moro Naba (1958). Courtesy of YouTube. Film production in Upper Volta began under French colonial rule and could be divided into two categories: ethnographical films, such as Paysans noirs ou Famoro le Tyran (Georges Regnier, 1947) and Masques de feuilles (Guy Le Moal, 1961), and educational films to teach the mostly illiterate population about better agricultural techniques and basic hygiene. The latter category includes Opération arachides (1962), Culture attelée et fertilisation (1964), Lumière sur le cotton (1965), and Comment nourrir mon enfant (1966) by Serge Ricci, and Jean Marc et la trypanosomiase (1967) by J. Dutertre. Most of the audiovisual content was being produced by Western directors, and it was not until August 1960 that Upper Volta, through the Ministry of Information, made the first locally produced audiovisual film, À Minuit, l’indépendance, to commemorate the political independence from French colonial rule. The local film industry, if it can be referred to as such, in the 1960s revolved mainly around the management of a few movie theaters in the two major cities of Ouagadougou and Bobo-Dioulasso and the importing and distribution of films by the Monegasque companies SECMA and COMACICO, which had maintained a monopolistic position in film distribution across francophone Africa since the early 1930s. The government of Upper Volta created a national television station in 1963, which could have helped lay the foundation for a nascent audiovisual industry by spurring productions and serving as a distribution channel. However, as Victor Bachy notes in his book La Haute-Volta et le cinéma, the station operated only three hours a day for four days a week, and the content was supplied by France. The creation of the Société Nationale Voltaïque du Cinéma (SONAVOCI) on Jan. 5, 1970, may be regarded as the catalyst for the birth of a truly national cinema. Still from Idrissa Ouedraogo’s film Yaaba (1989), part of Burkinabe Cinema’s “Golden Age”. Courtesy of Le Figaro. The nationalization of film distribution should be considered within the larger context of the cultural nationalism of the 1970s, when the film medium could be an instrument of cultural liberation. SONAVOCI upgraded the six existing movie theaters with modern equipment, built six additional theaters and worked in partnership with SECMA and COMACICO to import movies for local distribution. By the early 1980s, the nationalization of film distribution had failed for various reasons. However, a local businessman, Martial Ouédraogo, built and equipped a film studio, CINAFRIC, in Ouagadougou (Kossodo district) to produce and distribute films. CINAFRIC was only able to help produce Paweogo (Emigrant; Kollo Daniel Sanou, 1982) before closing because of a lack of enough productions to recoup the initial investment of more than $2 million. The economic crisis of the 1990s led to the closures of movie theaters, worsening the Burkinabe film industry. The irony is that although the films of Gaston Kaboré and Idrissa Ouédraogo were critically received and awarded prizes, local theaters were closing. The period of the early 1980s to the 1990s I what I consider to be the golden decade of Burkinabe cinema. Today, the film industry in Burkina Faso is under reconstruction: by the transition of one generation to another, the gradual shift from celluloid to video/digital technologies and formats, and structural reforms led by the government. The leading figures of Gaston Kaboré and Idrissa Ouédraogo have not produced a critically acclaimed feature-length film for more than a decade after their initial successes. 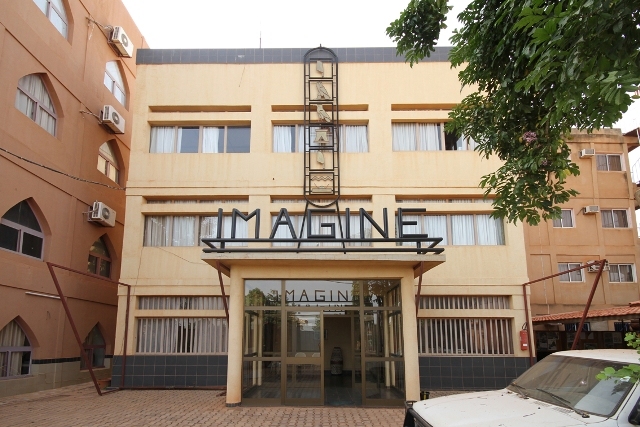 Ouédraogo has turned to TV series because of the scarcity of funding for feature films, and Kaboré opened a film school, IMAGINE, in Ouagadougou. The middle generation, from the 1990s and 2000s, faced the challenge of living up to the standard and success of their predecessors while finding their own cinematic voices. This middle generation is made up of directors such as Fanta Régina Nacro, Pierre Yaméogo, Danny Kouyaté, Abdoulaye Dao, Boubakar Diallo, Valérie Kaboré, Apolline Traoré, Missa Hébié, and Aminata Diallo-Glez. With the possible exceptions of Fanta Régina Nacro and Pierre Yaméogo, these directors have developed a tradition of sitcoms and TV series in the Burkinabe audiovisual landscape, thereby positioning Burkina Faso as one of the first francophone African countries to produce locally made TV series. Such productions include Vis-à-Vis, À nous la vie (Life is Ours), Commissariat de Tampy (Tampy Police Station), Quand les éléphants se battent (When Elephants Fight), L’as du Lycée (School Ace), Affaires publiques (Public Affairs), Famille démocratique (Democratic Family), and Fabiola. The local TV series have achieved popular success and replaced their French, Italian, American, Mexican, and South American counterparts that filled the national television programming before 2000. Local productions of sitcom and TV series are now established practice in the Burkinabe film industry, often prompting debates over whether they should be included with cinema. Similarly, the shift from celluloid to video/digital format has created a generational divide among filmmakers. So, with the transition from one generation to another and the technological innovations in filmmaking, Burkinabe cinema is clearly in flux. In the midst of this changing landscape emerged a new generation of young filmmakers since the mid-2000s such as Hervé Eric Lingani, Mamounata Nikiema, Laurentine Bayala, Serge Armel Sawadogo, Ibrahim Olokunga, Michel K. Zongo, Éléonore Yaméogo, Inoussa Kaboré, and Aziz Nikiema. Some of these young storytellers learned filmmaking on the job, while others are graduates of the two Ouagadougou-based film schools, IMAGINE and Institut Supérieur de l’Image et Son (ISIS), created in 2006. In terms of genres, these filmmakers produce fiction and nonfiction films and TV series. Michel K. Zongo is, in my opinion, the most talented and promising documentary filmmaker among the young generation. This young generation arose in the context of vibrant cinematic culture that is the result of a number of initiatives developed by other young people of their generation. Festivals and film labs were created to stimulate creativity and exhibit films. The Ciné Droit Libre was created in 2004 in Ouagadougou, initially as a festival for censored films that are not distributed, but it gradually evolved into a human rights film festival. 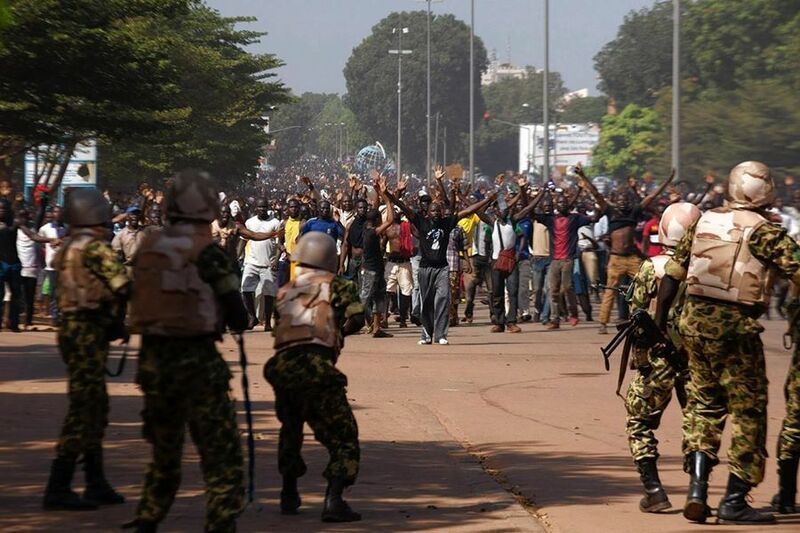 Scenes of insurrection during the presidential coup against Blaise Compaoré in 2014. Courtesy of In Defence of Marxism. Emerging filmmakers receive professional development opportunities through screenwriting residences organized by the Sobatè association every year under the leadership of the young director and producer Mamounata Nikiema, and through Ouaga Film Lab’s workshops under the leadership of Alex Moussa Sawadogo. Over the last two years, the documentary festival Les Rencontres Documentaires de Koudougou, created by Michel K. Zongo, has provided a platform for visibility and exhibition of documentary productions in open-air screenings and discussions with the audience. In the context of building a national cinema industry, public authorities are taking measures to rebuild infrastructure (movie theaters in the seats of provinces) and created the Fonds de Development Culturel et Touristique (Cultural and Tourism Development Fund) in 2016 to foster the development of cultural industries. However, it is too early to assess the success of the fund because its first call for projects only went out in 2017. Senegal, Ghana, and Côte d’Ivoire have also created film funds over the last five years in efforts to build their respective national film industries. As for the development of human capital in the industry, Burkinabe film schools are providing the talent needed to work in the sector. What is sorely needed are producers with extensive networks and know-how to effectively turn feature film projects into finished products. The larger decision facing Burkina Faso and most other African countries is what type of sustainable economic model of the industry best suits their individual or collective situations. In this respect, the development since the end of apartheid of the South African film industry, which blends the Hollywood model with local filmmaking practices, could well serve as a model for Burkina Faso and many other countries as well. 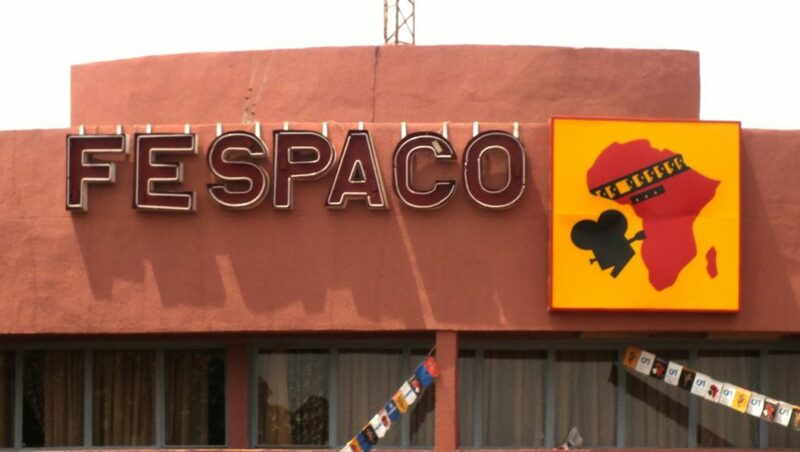 FESPACO has played the role of catalyst and barometer for the cinema of Burkina Faso. Hosting the festival every other year provides strong motivation to produce quality films that will represent the country in the official competition categories. But the alternate-year schedule also results in constant introspection into the promises and failures of the national cinema after each edition. There is mounting pressure on local filmmakers and public authorities from the media, and the population, before the launch and end of each edition- particularly if selected Burkinabe films did not fare well in the official competition. The Burkinabe public loves FESPACO, fills the theaters to see African films, and is even more delighted to watch a local production. The public’s expectations, coupled with the accountability of authorities and filmmakers to produce quality films that could win awards at FESPACO, is a catalyst for creation that might not otherwise be the case if the festival were held in a different country. Last year, the president of Burkina Faso, Roch Marc Christian Kaboré, gave 1 billion CFA francs (US$2 million) to the filmmakers of Burkina Faso after a delegation met with him to request financial support for the production of films to submit to the 26th edition of FESPACO in 2019, marking the 50th anniversary of the festival. 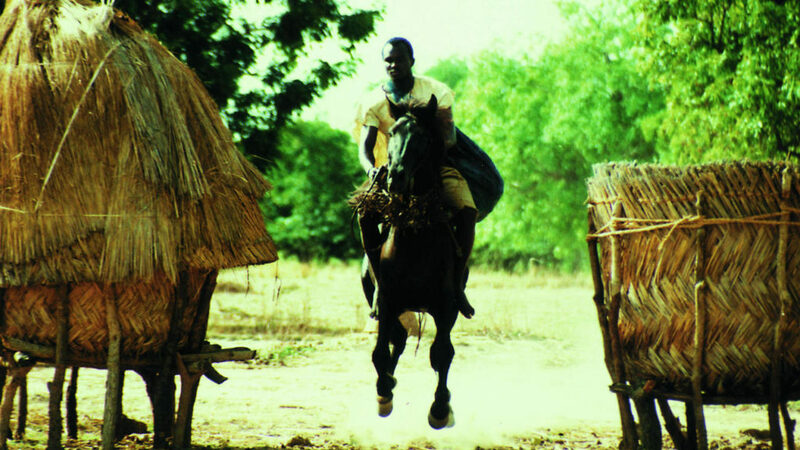 A Burkinabe film has won FESPACO’s most prestigious prize, Étalon de Yennenga, for best feature only twice: Tilaï (1991) by Idrissa Ouédraogo and Buud Yam (1997) by Gaston Kaboré. 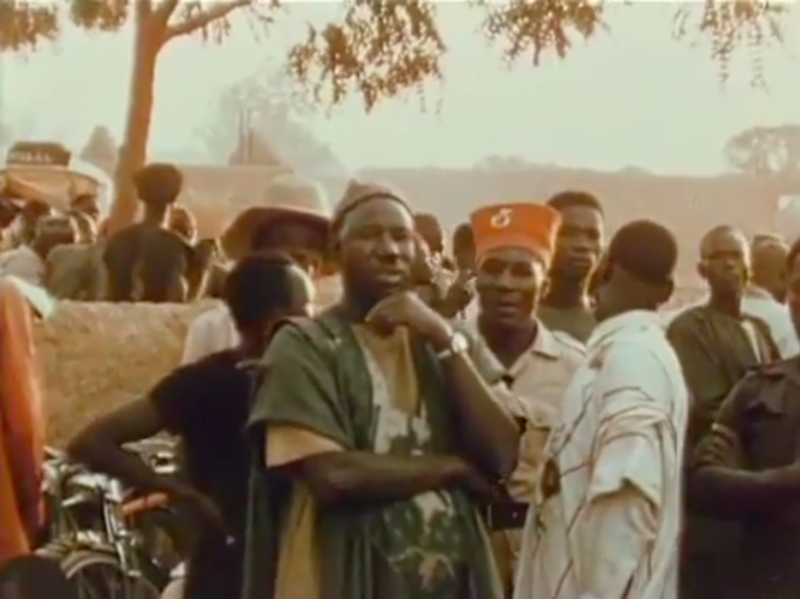 Still from Gaston Kaboré’s Buud Yam (1997). Courtesy of Mubi. Popular Burkinabe sitcoms and TV series: Vis-à-Vis, À nous la vie; Commissariat de Tampy (Tampy Police Station); L’as du Lycée (School Ace); Affaires publiques (Public Affairs), and Fabiola. Notable directors: Gaston Kaboré, Idrissa Ouédraogo, Kollo Daniel Sanou, Pierre Yaméogo, Danny Kouyaté, Fanta Régina Nacro, Missa Hébié, Boubakar Diallo, Valérie Kaboré, and Apolline Traoré. Notable Burkinabe actors and actresses: Sotigui Kouyaté, Rasmané Ouédraogo, Amadou Bourou, Hipollyte Ouangrawa, Blandine Yaméogo, Georgette Paré, Halidou Sawadogo, OdiliaYonli, Gustave Sorgho, and Ildevert Meda.